Mr Jones mingled with members before the meeting then gave a short talk where he referred to the very active roll the club played in the community before he dealt with some of the Federal issues concerning older people. He briefly touched on pension indexation and supplementary payments before going on to the subject of climate change. Mr Jones explained that the government was making small changes now so that our children and grandchildren didn't have to make massive changes later. He then raised the subject of working after retirement and explained some of the recent changes enacted to allow people who wished to work after retirement age keep more of what they earned and even still retain some state assistance. Finally he talked about measures the government was putting in place to deal with the ageing population but ended by saying that the ageing population should not be viewed as a problem but actually a testament to the great country we live in because people are living longer and living more fulfilled lives. He then invited questions from members. 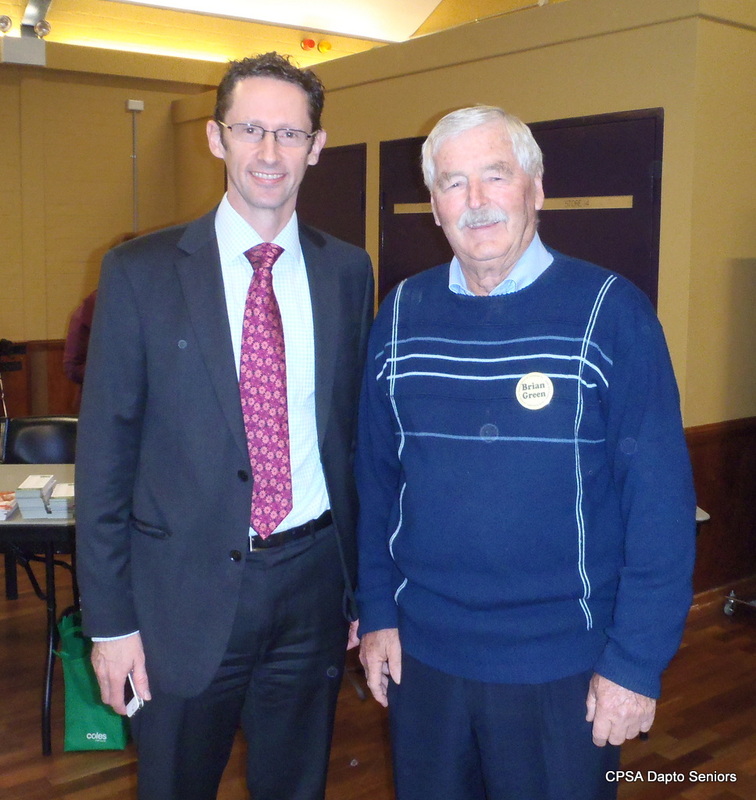 Club members threw up topics as diverse as arrangements for carers, immigration policy, employment and the NBN which Mr Jones answered thoroughly and in some cases took member's details for a more detailed answer later.